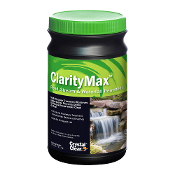 CrystalClear ClarityMax multi-purpose cleaning action cleans ponds with an unprecedented combination of natural bacteria, enzymes and a powerful secret ingredient. 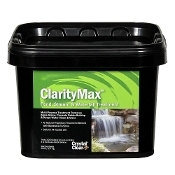 These ingredients work in tandem to clean, polish and break down dead organic debris on and around waterfalls, streams, plant pots and filtration systems. 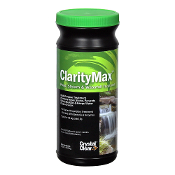 CrystalClear ClarityMax also maintains crystal clear water for the long term. Use when water temperatures are above 50°F.